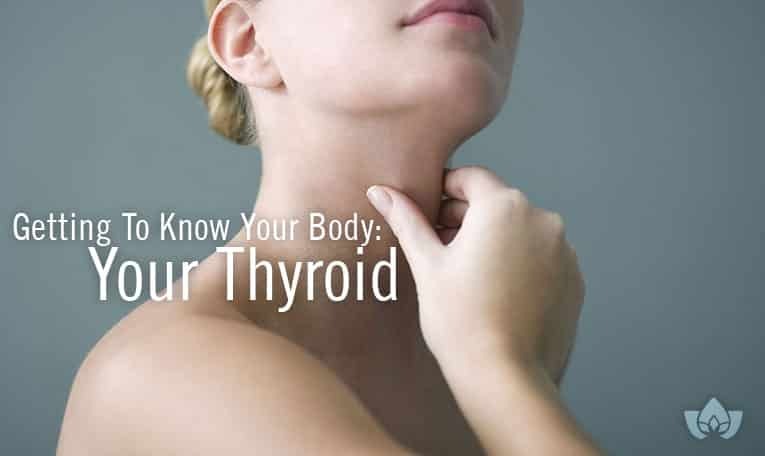 Located at the front of your neck on your windpipe, your thyroid plays an important role in your metabolism, the chemical processes within your body. Metabolism converts food to energy to run cellular processes or converts food to building blocks for proteins, lipids, nucleic acids, and some carbohydrates. In addition, metabolism controls the elimination of nitrogenous wastes. At the Mindful Healing Clinic, a thyroid health naturopathic clinic, we find that naturopathic treatments may be effective in maintaining your thyroid health. Read this article to get to know a little more about this small but important gland. Your thyroid is part of your endocrine system, a larger system which consists of all the glands in your body which regulate your hormones. It is butterfly-shaped and consists of a left and right lobe joined by a small length of thyroid tissue called the isthmus. Your thyroid releases hormones which regulate almost all of the metabolic processes through your body. These tyrosine-based hormones are triiodothyronine (T3), which affects heart rate, metabolism, body temperature, and growth , and thyroxine (T4), which affects digestion, heart and muscle function, brain development, and bone maintenance. The thyroid both regulates the T3 and T4 hormones and creates them. The thyroid itself is regulated by the pituitary gland, which senses the levels of T3 and T4 hormones in the bloodstream. If the levels are too low, the pituitary gland secretes the thyroid stimulating hormone, or TSH, which tells the thyroid to release T3 and T4. Irregular metabolism can have many negative effects on the body. Hyperthyroidism, caused by an overactive thyroid, makes your thyroid produce too much thyroxine. It can accelerate your body’s metabolism significantly, which causes sudden weight loss, nervousness, irritability, sweating, or a rapid or irregular heartbeat. Hypothyroidism, caused by an underactive thyroid, makes your thyroid produce insufficient hormones. It upsets the normal hormonal balance in the body. Symptoms often don’t occur in the early stages, so it can be difficult to diagnose. Resulting health problems include obesity, joint pain, and infertility. Keeping your thyroid healthy is vital in preventing hyperthyroidism and hypothyroidism, and other disorders of the thyroid. Can You Live Without A Thyroid? It is possible to live without a thyroid, and there are several ways you can end up without a thyroid. You can be born without a thyroid, or with a malformed or non-functioning thyroid. This is known as congenital hypothyroidism. The gland can also be surgically removed, a procedure called a thyroidectomy. It is most commonly performed on those diagnosed with thyroid cancer. Surgery can also be performed as a treatment for those with an enlarged thyroid, or those with hyperthyroidism. Whenever the thyroid is removed, the result is hypothyroidism. After all, a non-existent thyroid is the ultimate form of an underactive thyroid. Thyroid problems can occur due to overactive or underactive hormone production, and the results can be debilitating. Hashimoto’s Disease is an autoimmune disorder that causes the immune system to see the thyroid as a threat and begin to attack it. It is estimated to affect one in a thousand people, and occurs more often in women. If left untreated, the tissues can die and stop producing hormones, causing damage to the thyroid gland or hypothyroidism. Graves’ disease is one of the most common diseases of the thyroid, and it is the leading cause of hyperthyroidism. It is generally treatable if detected early, but can cause severe complications if left undiagnosed. With Graves’ disease, instead of the pituitary gland releasing thyroid-stimulating hormone (TSH), the immune system releases abnormal antibodies which mimic TSH. This makes the thyroid release too many hormones, or hyperthyroidism. Graves’ disease is believed to be caused by genetic and environmental factors, although there is no definitive cause. It occurs more frequently in women. A goiter refers to a growth on the thyroid gland, or any enlargement of the thyroid gland. A toxic nodular goiter results when one or more nodules develop on the thyroid, triggering excess production of thyroid hormones. Goiters can be caused by both hyperthyroidism and hypothyroidism. 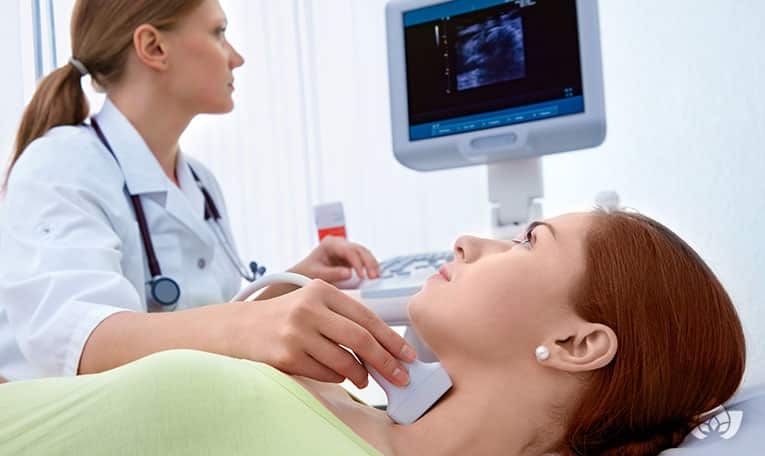 Naturopathic treatment is available for thyroid disorders, depending on the specifications of your individual disorder. If you have been diagnosed with an thyroid disorder or suspect that you have one, contact me, Dr. Maria Cavallazzi, at the Mindful Healing Clinic. During your initial appointment, you will sit down with me where we can talk about your thyroid disorder and any other health concerns you may have. Contact the Mindful Healing Clinic to book your FREE 15-minute introductory session today.